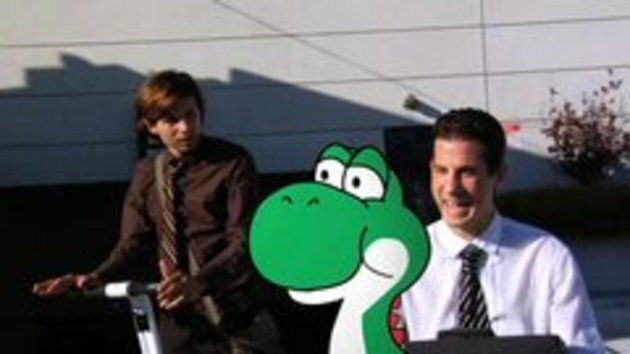 Two colleagues talk about their transportation devices, a Segway and a Yoshi. From CollegeHumor. gz on "PDT" personal transport dinosaur..
Scott, "Personal Transport Dinosaur" is "PTD," not "PDT." Just fyi.